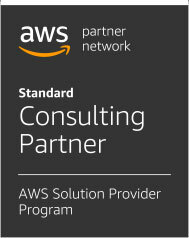 R&D Solutions Ltd. is an IT company specialized in bespoke software development of enterprise systems and solutions, cross-platform mobile apps, UI/UX websites and cloud managed services and DevOps automation on top of Amazon Web Services (AWS). We provide complete IT services – consultancy, architecture analysis & design, development, implementation, deployment, support and maintenance. The DevOps methodology of continuous delivery of consistent value and quality is at the heart of our software programming, project management, system integration, quality assurance and business processes automation.